The trip includes all hotels, breakfast and dinner, internal flights in Egypt (Cairo-Luxor, Aswan-Cairo, Aswan-Abu Simbel, Aswan) and Cairo-Aswan, airport assistance upon arrival and hotel transfers, entrance fees, tips to guides and drivers, logistical support and backup from Festival Travel in Cairo and from Netours offices in Amman and Jerusalem. Does not include international airfare, passports (personal responsibility), beverages at hotels, restaurants, and elsewhere. Entry visa for Egypt and Jordanian departure tax of $15. Additional surcharges and taxes may apply from airlines or individual countries. Hospital bills and international evacuation in case of an emergency. Note: Prices are per person based on double occupancy. Single supplement is approximately $1,475 for all three locations. Every effort has been made to present this information accurately. Prices are listed in U S. dollars and may be subject to change. Airfare is subject to change without notice until tickets are issued. Below is the complete itinerary for our trip. Spots are filling up fast, but there is still room for you! Thank you! I look forward to keeping you in the loop! Upon arrival at Cairo International Airport, our Cairo representative will welcome, meet and assist us through immigration and customs formalities and then transfer us to the domestic terminal where we will fly south to Luxor on Egyptair 481, departing Cairo at 4:25 p.m. and arriving in Luxor at 5:35 p.m. We will be met and taken to the Movenpick Darakum luxury cruise boat where our four night cruise program will begin. Dinner and overnight on the Movenpick Darakum. After dinner we will take a walking tour of the Luxor bazaars. In the morning visit the magnificent Karnak and Luxor temples on the east bank of the Nile River. Then we cross to the west bank to see the Valley of the Kings and Queens, the tomb of Tutankhamen, the funerary Temple of Queen Hatshepsut, and the Colossi of Memnon. 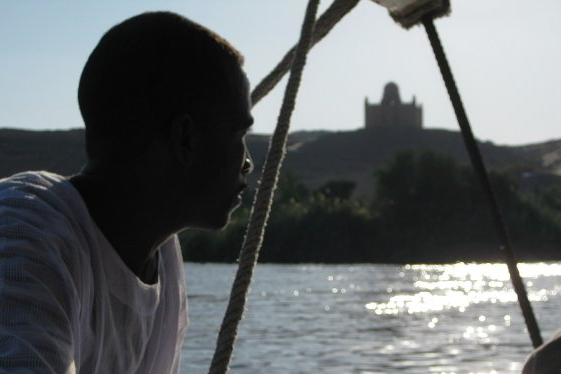 In the afternoon we will begin the cruise up the Nile toward Aswan. After passing through the Esna locks we continue up the river and reach Edfu in the early evening, where we will spend the night. At Edfu we travel by horse drawn carriage to the Temple of Horus, the Falcon god. This temple is considered the best preserved temple from ancient Egypt and is the second largest after the great Temple of Karnak at Luxor. Sail on to Kom Ombo where we will stop to visit the Ptolemaic Temple of Sobek the Crocodile god, and then sail to Aswan for overnight. After breakfast we will visit the Aswan High Dam, the Granite Quarry with its Unfinished Obelisk, and the Temple of Philae. In the afternoon we will take a felucca ride on Nile to view the botanical gardens on Kitchner’s island and the Aga Khan Mausoleum. In the evening we will take a walking tour of the Aswan bazaars. We have an early morning excursion by air to Abu Simbel on Lake Nasser, visiting the two temples of Ramses 2 and his wife Nefertari. These temples were threatened with submersion by the lake after the construction of the Aswan High Dam in the 1960s and reassembled 60 meters up the sandstone cliff from where they had been built over 3,000 years ago. Returning to Aswan, we will transfer to the airport where we will take Egyptair 396 to Cairo, departing at 2:15 p.m,. and arriving in Cairo at 3:40 p.m. We will be met and transferred to the Marriott Mena House, formerly the world famous Oberoi Mena House and once a royal palace located on forty acres of jasmine scented gardens and situated in the shadow of the Great Pyramids. After an afternoon of walking and exploring the grounds and hotel gift shops, or relaxing by the pool, dinner will be served at the Khan El Khalili restaurant. Dinner and overnight will be at the Mena House. After dinner we will attend the Sound and Light performance at the Great Pyramids and Sphinx. 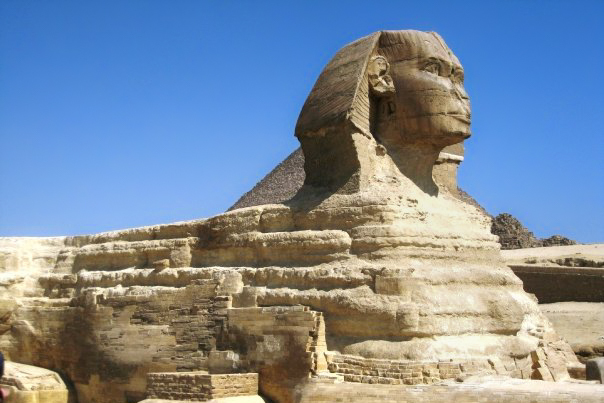 After breakfast, we will first visit the Great Pyramids of Giza and its enigmatic Sphinx. We then will travel to the Egyptian Museum, housing over 120,000 artifacts from Egypt’s history, including hundreds of items from the tomb of Tutankhamen from the Valley of the Kings. After lunch we will visit the Citadel of Salah el Din and Mohamed Ali Mosque and the world famous Khan el Khalili bazaar. Dinner and overnight at the Mena House. 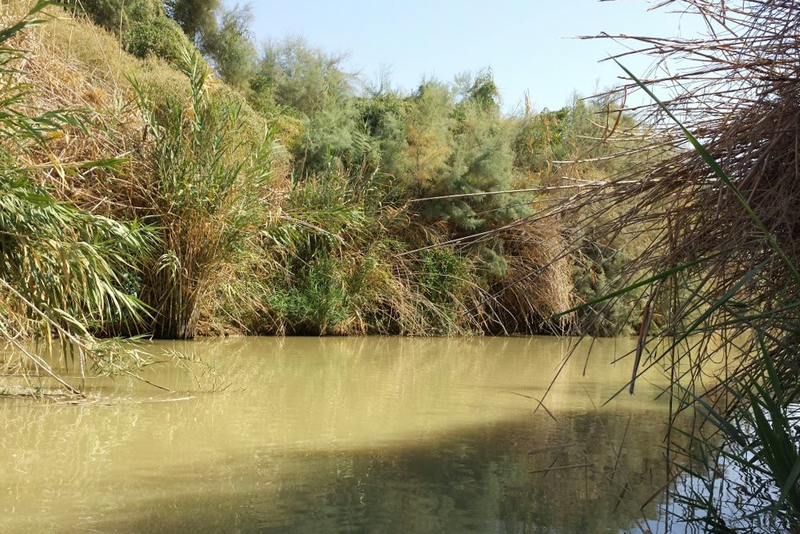 In the morning we drive to the recently discovered baptismal site of “Bethany beyond the Jordan.” For Christians, the most significant event associated with the Jordan River is the baptism of Jesus by John the Baptist. This site is most likely where Joshua, Elijah and Elisha crossed the river. In New Testament times, it became known as Bethany, the village of John the Baptist. The baptism site is located at the head of a lush valley just east of the Jordan River. After his baptism, Jesus spent forty days in the wilderness east of the river, where he fasted and resisted the temptations of Satan. We proceed to the Allenby Bridge, also known as the King Hussein Bridge. After finishing border proceedings we again rejoin our bus and drive to Jericho, considered by many to be the oldest city in the world, to view the traditional mountain of the temptation of Jesus. Ascending the Roman road along Wadi Qilt, we stop for a look at St. George’s Monastery, then drive back to the main Jericho/Jerusalem highway, passing by the Good Samaritan inn. Finally, atop Mt. Scopus, we behold the majestic Jerusalem where we will have dinner and overnight at the Hotel Inbal Jerusalem.